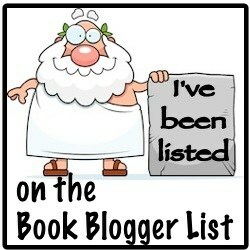 Yes, I’m one of THOSE people, a magpie of the book world, and I not a ashamed to admit it. I have to say that Splintered is much more than just looks, it’s a Young Adult Alice in Wonderland re-telling with a kick! I can be a bit of a YA snob at times but by this point in my relationship with Splintered I had already fallen in love with the cover and the twirly chapter titles and Alice, I knew I was going to LOVE this book. 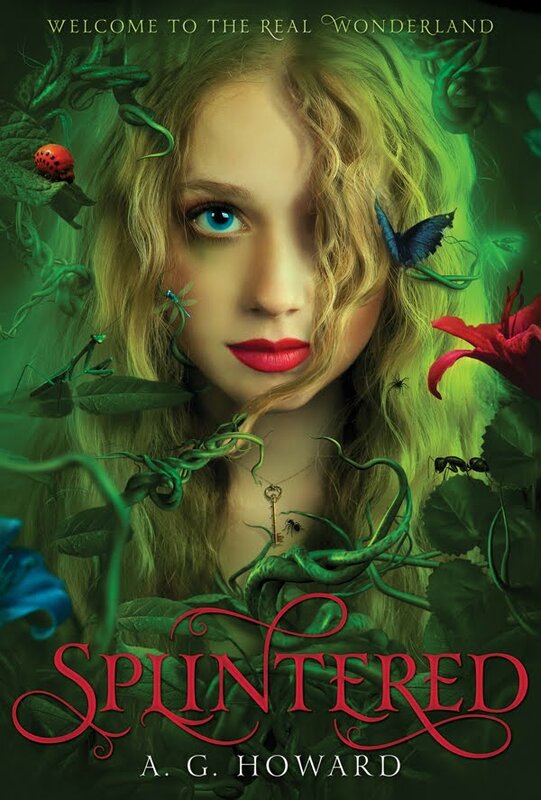 Splintered is a re-telling of Lewis Carroll’s Alice’s Adventures in Wonderland, the book’s main character is Alyssa who is the great, great, great – granddaughter of THE Alice who, after returning from Wonderland told Lewis Carol, a family friend all about her adventures in Wonderland when she was a child. Alice’s stories are taken for ravings and she ends up in a mental institution where she spends the rest of her life. Alyssa’s mother also suffers from the same affliction and is locked up because she talks to flowers and bugs and will only eat her meals from a tea cup and, now Alyssa fears she is going down the same path as her descendants one of whom tried to ‘fly’ off a tall building. Alyssa can hear flowers and bugs just like her mother and is frighten of what this means for her sanity and her future. Splintered is a fabulous witty adaptation of Alice in Wonderland with a devilish love triangle to book! Anyone who is thinking about readying the first in this trilogy, the best advice I could give would be to look out for Morpheus, you will never look at moths in the same way again! 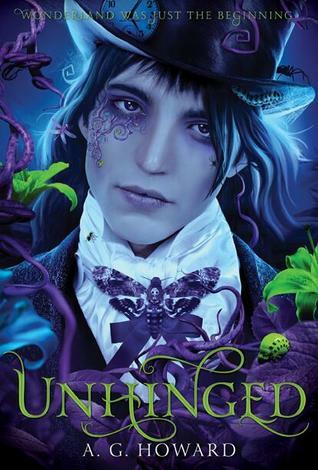 The second in the Splintered Trilogy- Unhinged is coming out in January 2014, and the third – Ensnared to be published 2015, I just can’t wait. 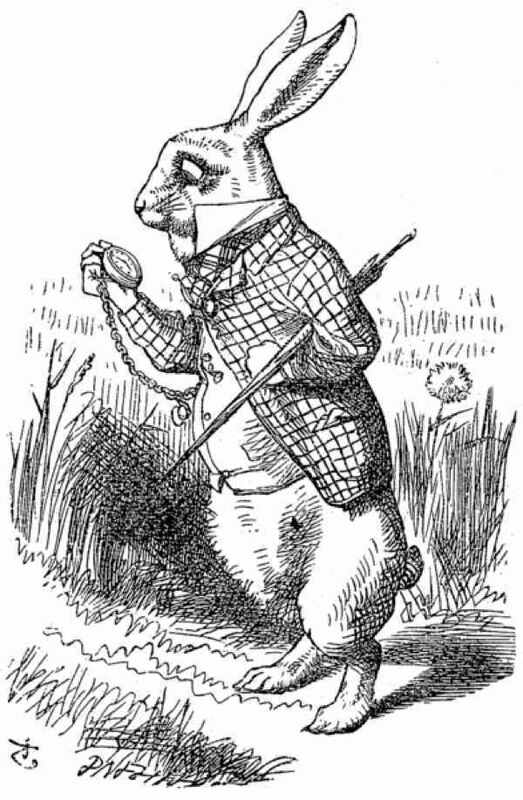 This entry was posted in Book review and tagged A.GHoward, Aliceinwonderland, Aliceretellings, book, bookreview, books, Jeb, madhatter, morpheus, Splintered, Unhinged on February 25, 2014 by Chloe.